As a parent, there are so many things for you to be concerned with regarding your child’s oral health, but your dentist says you can eliminate any concerns related to orthodontics in Highland Village by bringing your child in for an orthodontic checkup early on. Read on to find out why this is so important for every child to participate in. Why is an Orthodontic Visit Needed? The American Association of Orthodontics recommends that you take your child in for the first orthodontic check-up by age 7. This will allow your dentist to spot any early signs of an underbite, crossbite, overbite, crowding or any of the other malocclusions that can occur. He or she will then work with you to develop a plan of action. Problems are easier to correct while your child is still growing. By acting early to correct bite issues, your little one won’t have to endure extractions or surgery later on. When Do Orthodontic Treatments Usually Start? Typically, patients undergo treatment between the ages of nine and 14. During these formative years, children are able to get a jumpstart on improving the functionality of their teeth and oral health. Thus, they’ll be able to chew and digest their food better. Furthermore, oral hygiene practices are easier to perform with correctly aligned teeth. The psychological benefits that come along with having an aesthetically-pleasing smile should not be discounted. Your child will experience greater self-confidence with teeth that are correctly aligned, and this can have effects on his or her performance in school and physical health. That’s because feeling better about oneself contributes to the production of “happy” hormones like endorphins, dopamine and serotonin. These hormones help to positively change the environment inside the body and can even fortify the immune system, which means less vulnerability to illnesses. 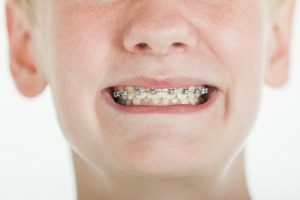 One of the more familiar methods of improving your child’s bite issues is with braces, which are highly effective. But thanks to a recent breakthrough in the world of dentistry, there is a way to accelerate the process with the Propel Orthodontic system. It speeds up the bone remodeling process that takes place during any orthodontic procedure so that your child will spend less time under treatment. By applying what you’ve learned here and taking a more proactive approach to your child’s oral health, you can make life a lot easier. The process of shoring up your child’s orthodontic health starts with simply reaching out to your dentist to schedule an appointment. Dr. Ryan Thomas earned his dental degree from New York University School of Dentistry and throughout his career has remained an avid learner, receiving training in Orthodontics with Invisalign and attending Progressive Orthodontics Seminars. 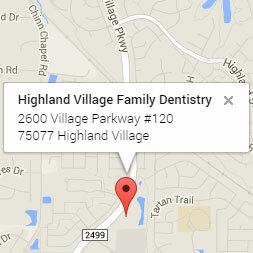 He helps children smile with confidence through orthodontic treatment at Highland Village Family Dentistry, and he can be reached for more information through his website. by: Dr. Ryan Thomas at September 7, 2018 .